Multiple interests determine the research landscape and research opportunities for scientists interested in Qigong research. 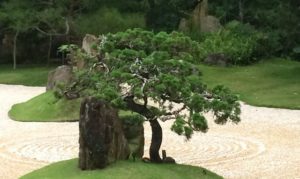 The multiplicity and often also the heterogeneity of the landscape of Qigong research is a challenge for Qigong practitioners eating to get an overview. Looking only at the research conducted at universities, one can already identify many different disciplines of study: beginning with medicine, featuring sport science and movement research as well as cultural studies, religious studies and philosophy. On top of that one can find various mixed approaches, i.e. inter- or transdisciplinary research projects. Non-university research as e.g. in private research institutes and schools of nursing completes the field. Searching for reliable sources concerning the healing powers of Qigong, research in the medical/clinical sector and in the field of physiotherapy is of special importance. – Most of the interesting studies stem from this field of health research. The initial position for Qigong researchers in health research is precarious. In many countries, there is not any (or not sufficient) funding for basic research like e.g. 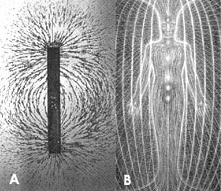 research on the mode of operation of Qigong. This is partly due to a lacking tradition of public research funding, partly the consequence of cut-backs in public spending as e.g. in austerity Europe. The Qigong researcher is under constant pressure: either to justify the institutional funding (s)he receives by producing impressive results to prevent that the funds are allocated elsewhere, or to take the matter in his/her own hands and approach third parties – private enterprises, foundations or wealthy donors. This pressure to raise funds and to secure the money-flow results in scientists trying to adapt to the expectations of the sponsors. Produce new interesting findings, which should be ideally also be often-quoted. Be relevant for society as a whole and instantly meaningful for the life of the citizens. – The worst accusation for a scientist to encounter in this context is to “sit in an ivory tower”, which essentially means that s/he is occupied with problems that do not immediately ring a bell with “ordinary” people. Be able to self-justify its value on a permanent base by virtue of its findings. Discovery of new, surprising connections, which are at the same time easy-to-follow and understandable for laypersons (patrons). Health(care) research as a whole is embedded in the tension field of pharmaceutical industries. Therefore, the “market environment” of Qigong research is somewhere between endemic diseases and so-called lifestyle diseases on the one hand, and the pharmaceutical industries which offer easy solutions in form of pills of all kinds and shapes on the other hand. Western societies, which account for the biggest part of health care expenses, but also for the biggest investments in health and pharmaceutical research, spend every year billions of public and private money for health: antidepressants, muscle relaxants, painkillers, drugs against high blood pressure, pills to relieve the symptoms of heart conditions and so on and so forth. Some of these drugs come along with massive side effects, which are remedied by the intake of other drugs. This leads to a situation in which many people, especially the elderly, take a whole range of drugs, which to some extent neutralize each other, but are, above all, expensive. Furthermore, often only the symptoms are addressed, but the patients are continually unable to work – an unnecessary loss of manpower, the economists would rather heartlessly say. Taking all the aforementioned aspects together, a big public interest of health insurance companies, health care providers and ministries of health in research for alternative (healing) methods, especially concerning certain disease patterns. The scientific interest of the Qigong researcher is spun in a certain direction. e.g. burn out syndrome and other disease patterns connected with work disruption (bore out, lack of energy), but also post-traumatic stress disorder, especially in belligerent countries. all kinds of rehabilitation / reconvalescense phases (from post-stress to post operative). The combination of the research interests of Qigong researchers and the situation in society as a whole as laid out above results in a rare phenomenon (or maybe just a phenomenon, which is seldom so clearly visible from without). Combining the pressure of the researcher to finance the research and the readiness of single actors to invest in a specific kind of Qigong research, a flow of money results in the direction of inquiring into the subject of Qigong in connection to severe, socially significant diseases. As a Consequence, the research papers all feature *Qigong* and *severe illness, which is difficult to cure* in the titles. If one scrolls over the trial listings and research overviews, the impression starts to form that Qigong does somehow have an internal connection to the healing of severe illnesses. Teachers, practitioners and patients, which search for these combinations (e.g. on the internet) will always be successful. Professional organizations and teacher associations take up this findings, without evaluating the – non-existent – evidence, and spread the myth further. There is a big danger of mystification through this use of science (albeit not on the basis of science). If the context of Qigong research does not change dramatically, this development is going to continue. – Optimists would say it would continue all the way until the „healing power of Qi“ and its practice Qigong, which today is strongly advocated by some practitioners, is finally proven. Researching until something is proven, which one knows to be true, however, is not research, but the misuse of science to back up myths and prejudices. It has to be hoped for Qigong research that it will autonomously develop new theories of interrelation of Western and Eastern healthcare studies (see above for the challenges occurring when fusing both approaches) and maybe even original research methods which can break the vicious circle. Another way of Qigong research moves away from the problems related to healing diseases towards a so-called “positive” notion of health. Health in this new view is not any longer the absence of illnesses – it now carries the much broader meaning of anything related to well-being and quality of life. 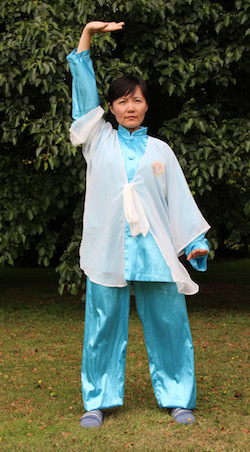 Here, Qigong is considered in the light of furthering a healthy lifestyle choices, lifelong learning and soft factors like life quality, but also as connected to quality management. Natural aims of Qigong practice in this view are enhancing wellness, improving performance (be it at work or in life in general), supporting rehabilitation and regaining the ability to work. The context is that of sports, recreation and life quality. Possible sponsors and donors of this kind of research are providers of social insurance and pension schemes, the public authorities responsible for health and social care and private corporations that want to demonstrate that they are „good employers“ and as such also caring for the health of their employees and workers. Qigong research which is led by empirical research of soft factors and conveniently combines this “neutral” approach with aspects of health management, has entirely foregone the claim to find out anything at all about Qigong itself. Such a Qigong research inevitably remains superficial. See the next part of the series for an overview over accessible sources and the field of non-academic Qigong research- coming soon!